In her works, young Finnish photographer Nelli Palomäki (*1981 in Forssa), a graduate of the renowned Aalto University School of Art, Design, and Architecture in Helsinki, searches for the lost magic that was once inherent in photography. Just fifty years ago, it was still something special to have your picture taken. People put on their best clothes and gazed, unmoving and serious, into the camera. 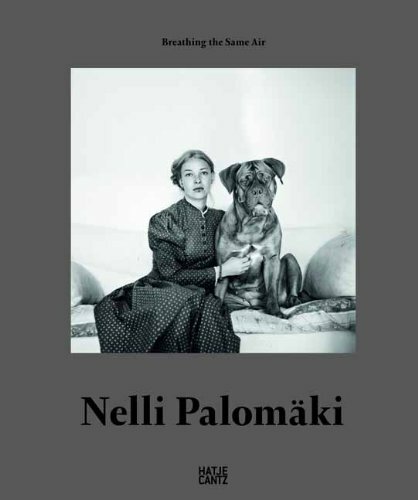 Palomäki’s models also generally do not smile; instead, they look steadfastly at us with the same kind of openness and attention that characterizes the photographer’s work. Her black-and-white portraits, most of them of children and young people, seek for what is hidden and surprising, capturing memories and telling stories. Palomäki says that when she looks at the pictures, she wonders what the people will look like in ten years—a notion shared by others who view her contemplative photographs. Vladimir and Eduard, the two boys in the photograph selected by the artist for our Collector’s Edition, pose jauntily for the camera and are obviously sure of their non-brotherly friendship—in the way that only children can pull off. Youthful pride and optimism emanate from the two cadets at a Russian navy school.